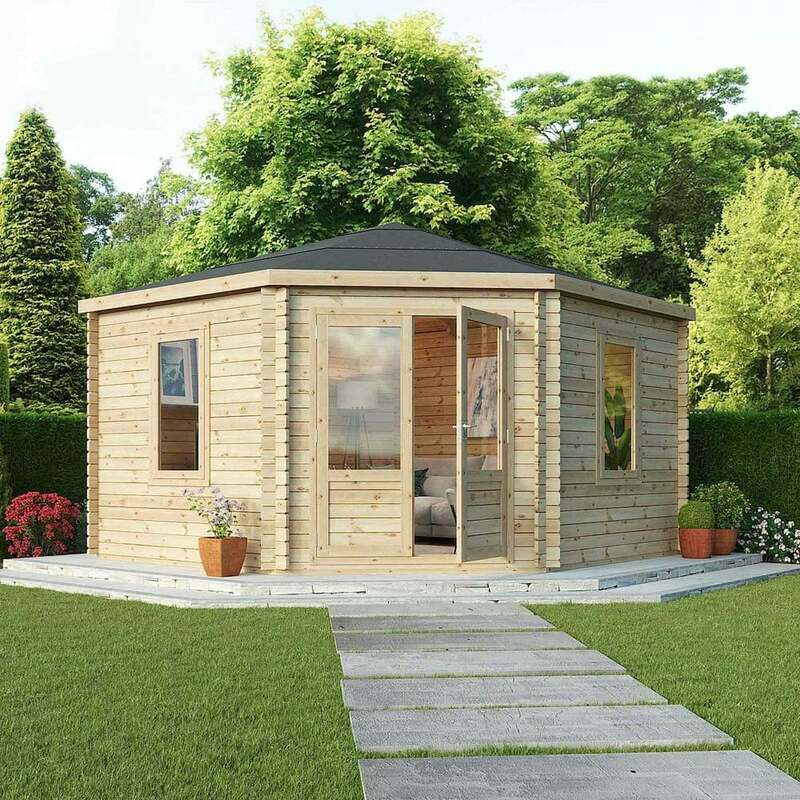 Mercia 4.0m x 4.0m Corner Log Cabin: The Mercia 4.0m x 4.0m Corner Log Cabin is practical design which gives valuable room by making the most of unused parts of your garden. The Corner timber building comes in a traditional apex design roof to provide a large interior, perfect for many uses such as an entertaining space or a relaxing garden retreat. The Mercia Log Cabin uses 19mm FSC certified tongue and groove timber for the roof and floor to provide a durable structure. The 4.0m x 4.0m Corner Cabin features large double doors to provide ample access when manoeuvring items and two opening glazed windows to allow plenty of natural light and ventilation. The Mercia garden building also includes heavy duty green roof felt material to act as a barrier to protect your building from water damage or wood rot.